Voynch — easy to use, rock solid data encryption. C source included. compresses files before encrypting them. that any two copies of Voynich will ever be the same. who may later decipher it to read or use. There are two basic conditions where encryption is desirable. records would be a fine example. a> Foolproof protection is a must. b> It should work well for both usage conditions above. c> It should be inexpensive. d> It should be safe and easy to use. e> Authentication capability would be a big plus. f> Transfer secrecy as an option would be great. g> It should be reasonably fast. how can we produce a secure cipher technique? Consider DES as an example, the algorithm is public knowledge. the end user and yet maintain effectiveness? of program permutations for Voynich is 10000!/745!. sensitive data on a computer system, Voynich is ideal. cipher programs, Voynich is not a command line utility. sibility to secure your working copy of Voynich). encrypts so that it can be identified as encrypted. Not a perfect score, but not bad. as you please with it. 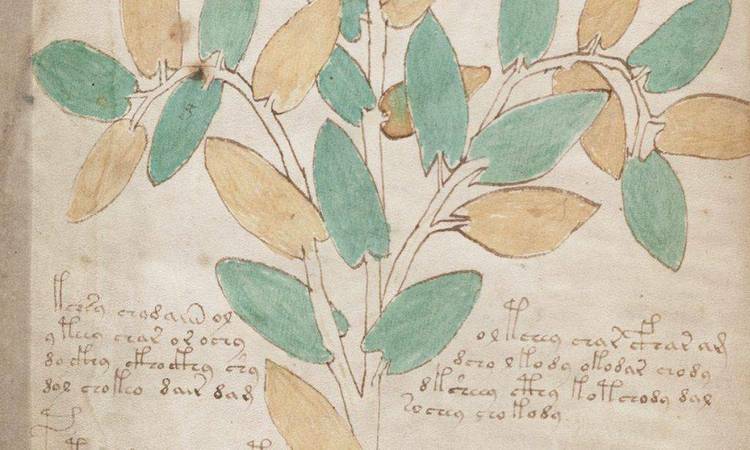 Voynich is copyrighted software -- Copr. WARNING: International distribution of Voynich may violate U.S.
Voynich available on an international bulletin board system. couple bucks to the mailing address listed below. arguably the most enduring and mysterious of encrypted documents. of the document since 1666.
having his name attached to the manuscript. its current owner, who has priced it at $160,000.00.